We just returned from a fast visit to the San Francisco Bay area for Bruce's 3 month check up at Stanford. The doctor says he is ahead of schedule for healing. We stayed two nights at my Aunt Vera and Uncle Jay's house in the East Bay. He has run his business for 65 years, Jay's Auto Center. You can see pictures of my family, also their sons JP and Brian. One day we drove to the peninsula and met a Beijing friend at the Historic Monument Fioli Gardens. Yun recently transferred to Sunnyvale from Beijing for Google. It is pleasant strolling around the grounds of the mansion and gardens built by a rich gold mine and water company developer in 1915-1917. Check out a very good and short article about this amazing place and the people who built it and owned it on the crossroads of early California history. Fioli is formed by combining the first two letters from the key words of William Bourn's credo: "Fight for a just cause; Love your fellow man; Live a good life." 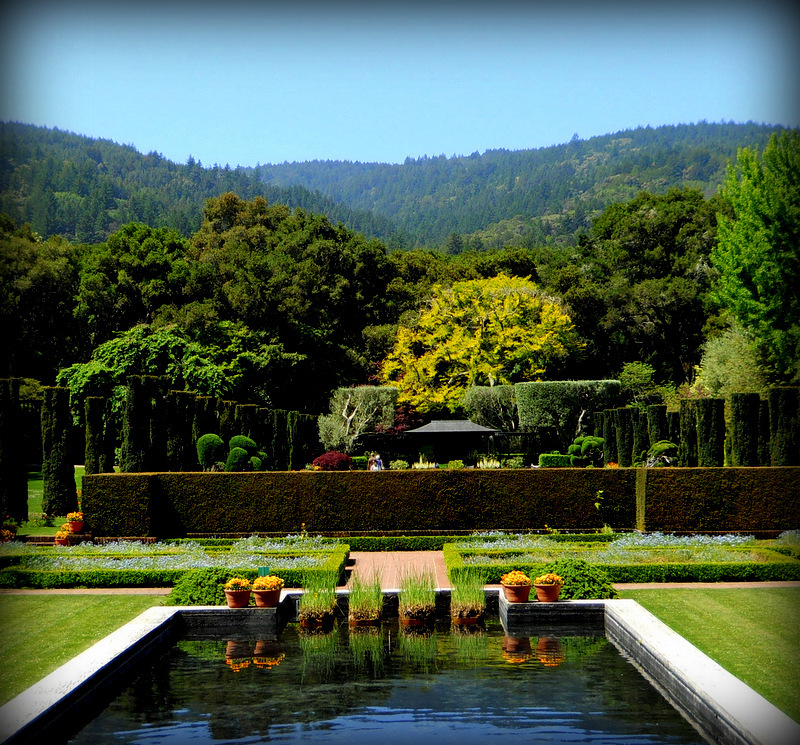 http://en.wikipedia.org/wiki/Filoli. We had lunch in the garden's cafe, run by volunteers.